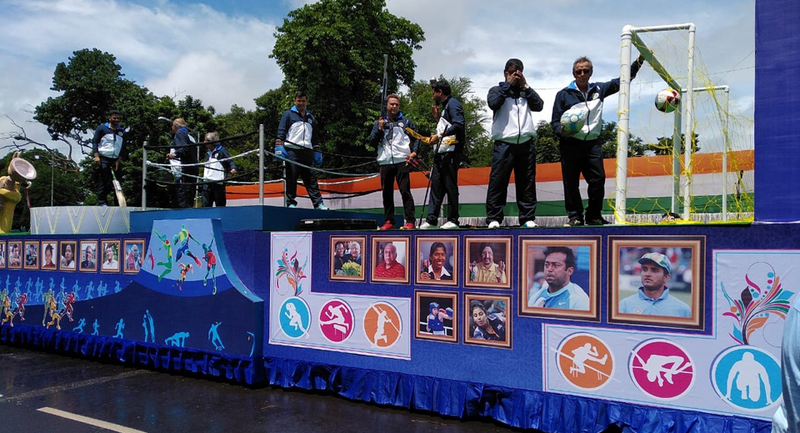 The state-level programme of Independence Day Celebration, 2018 was held at Red Road, Kolkata. 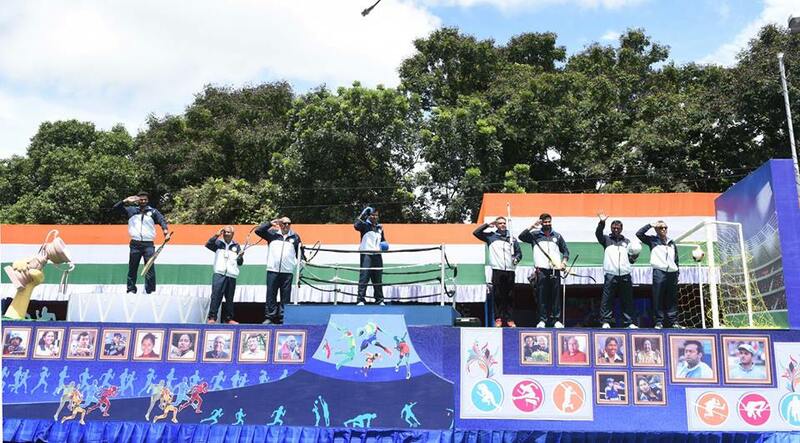 Ceremonial march past by members of the police force, colourful tableaus highlighting flagship programmes of our government, beautiful cultural programme by school children from all over the state, performance by folk artists of Lok Prasar Parakalpa depicting the rich cultural heritage of Bengal and special show by police on motorcycles enthralled the huge audience from all walks of life. 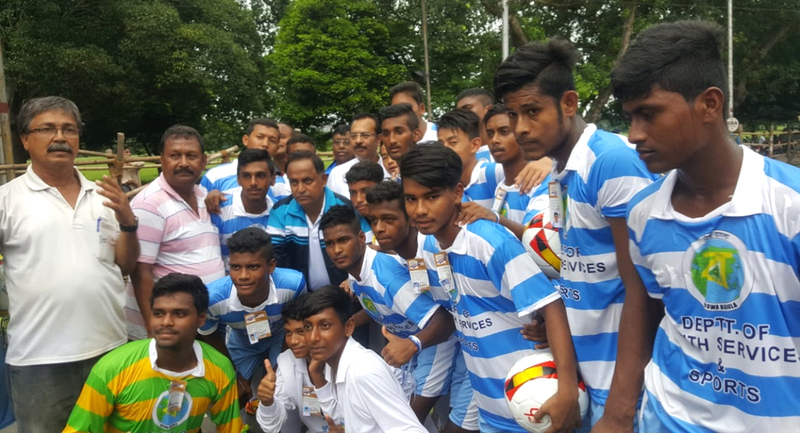 Contingent of the Department of Youth Services & Sports, Govt. 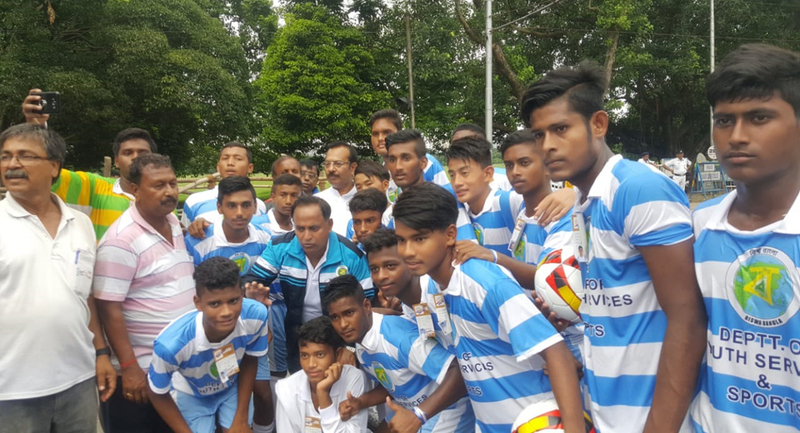 of West Bengal was led by renowned Football Player, Sri Manas Bhattacharya with 60 (sixty) young talented players of Bengal Football Academy and different schools. 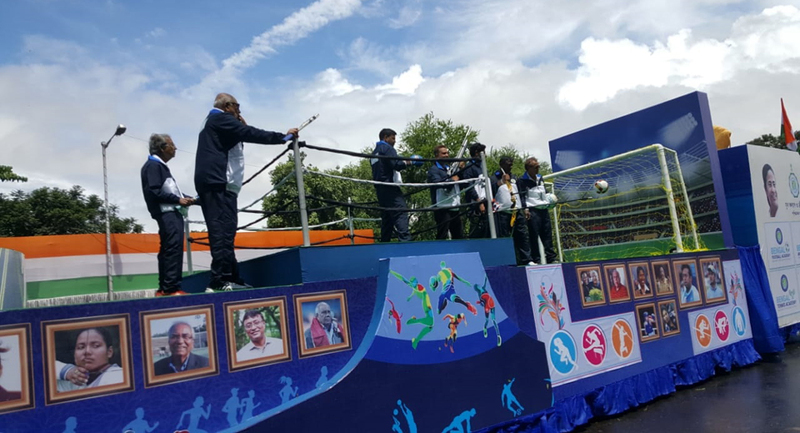 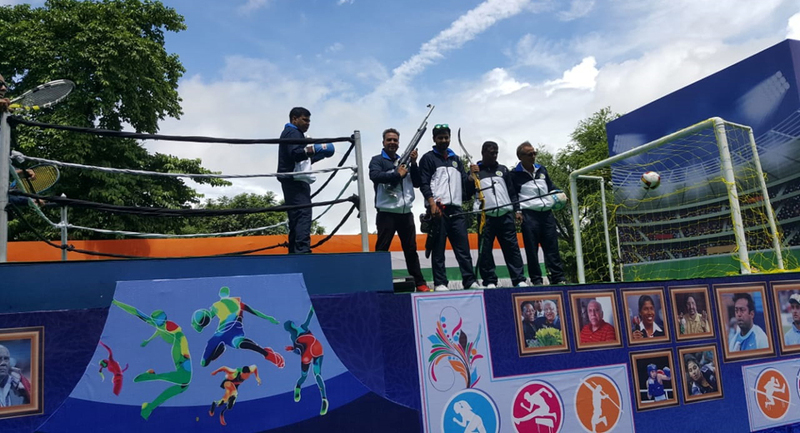 The players on the platform of the tableau were the most celebrated players of different fields of the state and the country e.g. 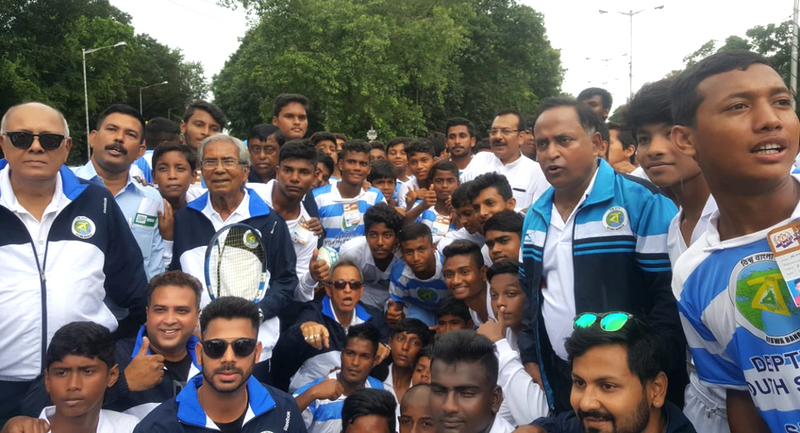 Shri Shyam Thapa, Sri Akhtar Ali, Sri Joydeep Mukherjea, Sri Bidesh Bose, Sri Jaydeep Karmakar, Sri Rahul Banerjee, Sri Ali Qamar, Sri Monoj Tewari and others. 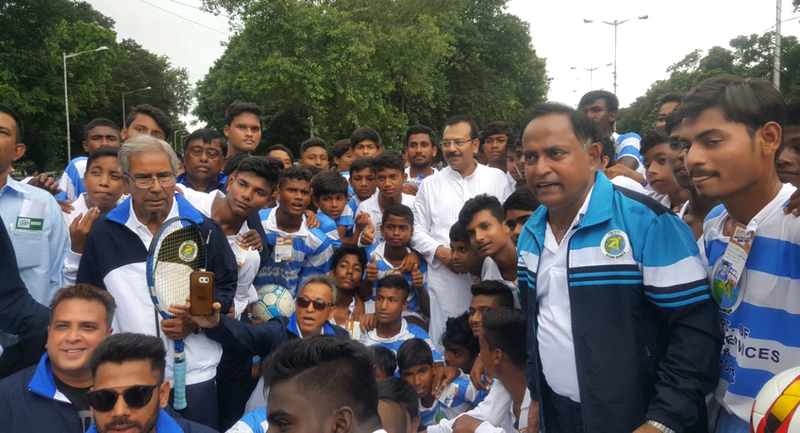 At the time of Walk Past young talented players of Bengal displayed glimpses of their unique skills.